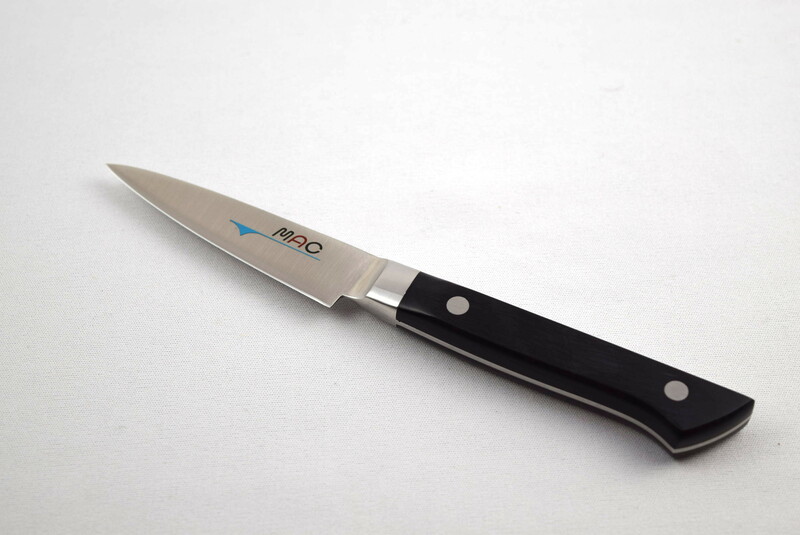 Mac Professional Series Paring knife with a 80mm blade. 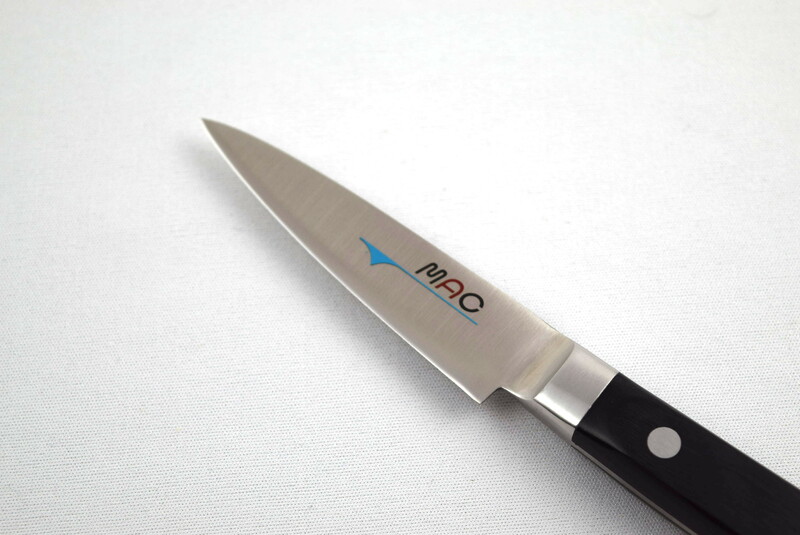 The Mac Professional Series uses high carbon Chrome Molybdenum Vanadium steel in their blade. 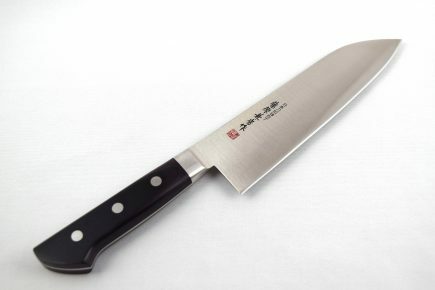 It is a stainless steel an known for better edge-retention, they are also easy to sharpen. 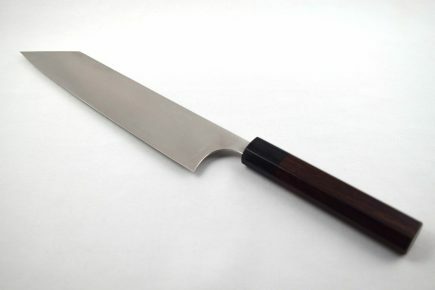 The handles are made out of pakka wood in which the full tang blades are riveted into. 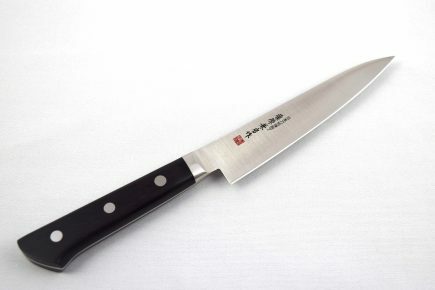 They have a stainless steel bolster to protect the dimpled handle and make it a very long lasting knife. 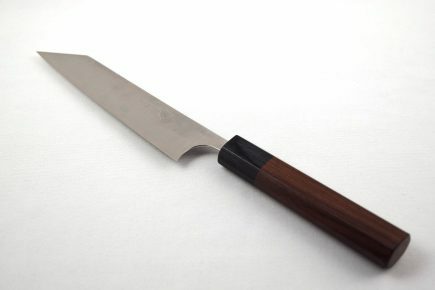 Nice little knife for peeling and paring!